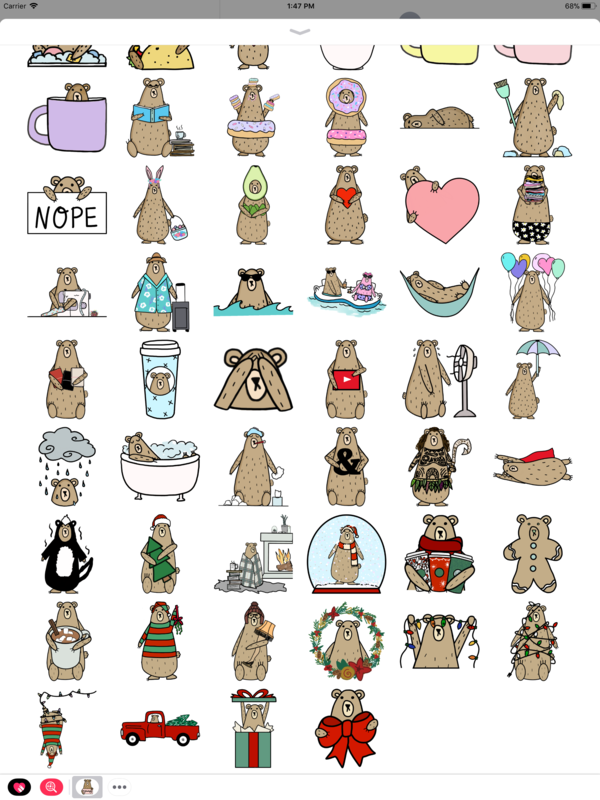 My lovely and talented daughter has created a sticker pack of her popular Grumpy Bear character! 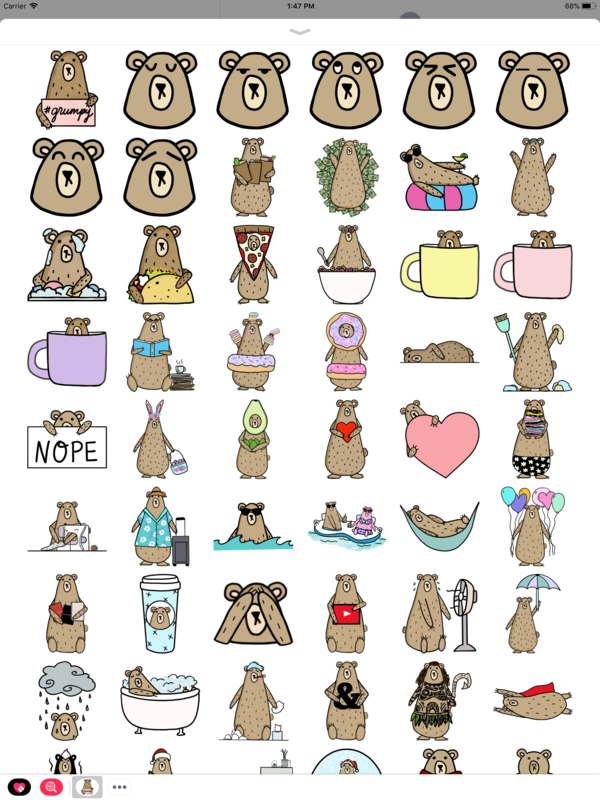 Embrace your grumpiness with these cute Grumpy Bear stickers! Version 1.2 includes over 30 new stickers, including emoji and festive holiday images! Version 1.1 is now available with 16 new stickers! Bobby Bat Stickers Pack for iMessage! Show your love of Bats with these cute stickers of Bobby Bat and friends! Bobby Bat Stickers Pack now available for iMessage! I’m pleased to announce our third sticker pack for iMessage is now available! My lovely and talented daughter has created another sticker pack! Reinforce your positive energy with these cute Pigga Pig stickers! I’m pleased to announce our second sticker pack for iMessage is now available! I’m pleased to announce our first sticker pack for iMessage is now available! This Christmas decorate your messages with bright, shiny lights! Make your texts festive! NightLights Christmas Stickers comes with C7, Mini, and novelty shaped light bulbs that blink! 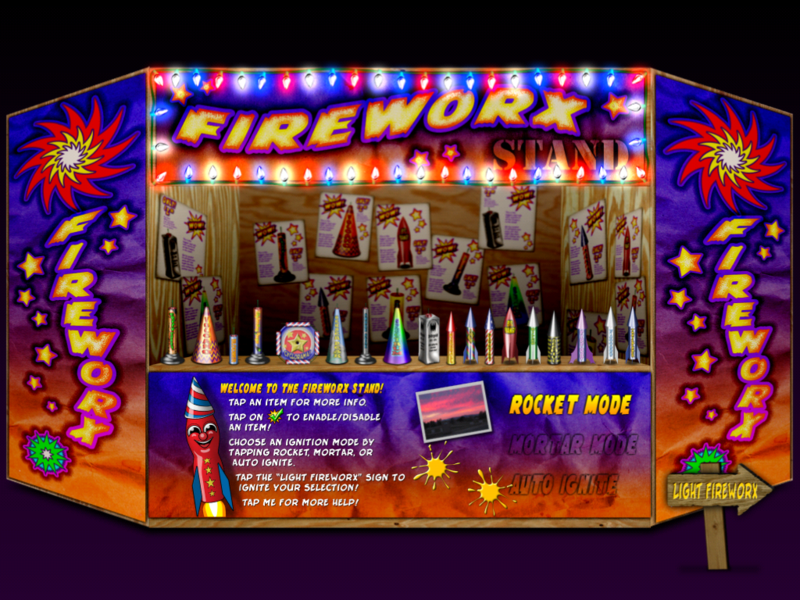 NightLights is part of the Skyrocket Celebration Pack for iOS devices!